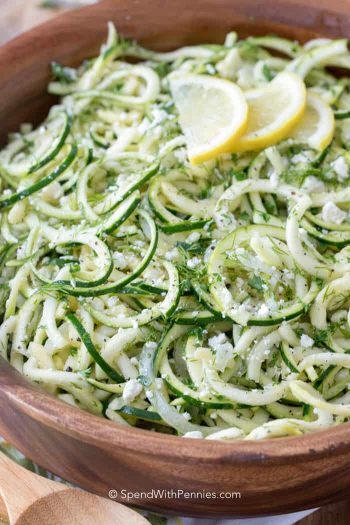 Zoodles – (or zucchini noodles) are healthy and low carb while being rich and creamy. 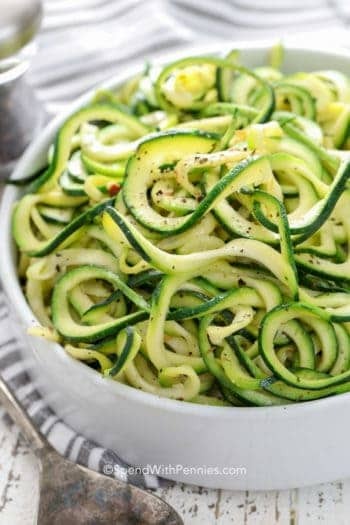 Best of all, these zucchini noodles are ready in about 3 minutes! 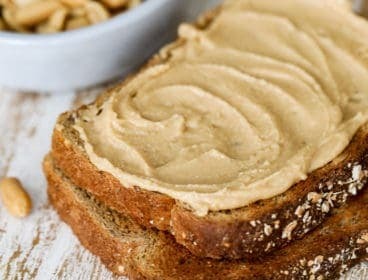 They make the perfect easy snack or meal. 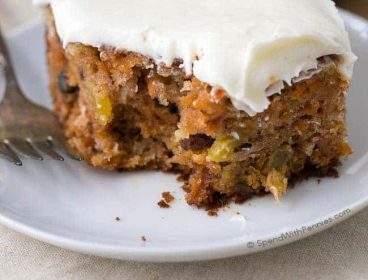 We love serving them alongside a juicy slice of meatloaf or Oven Baked Chicken Breasts! What are Zoodles? 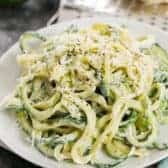 Zoodles are a simple keto side dish made using a spiralizer to create ribbons or noodles out of zucchini. 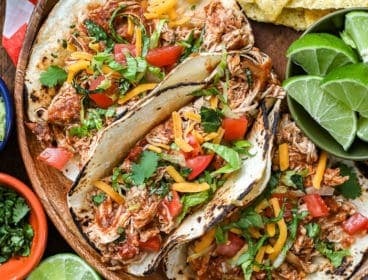 They are easy to make (you can use a vegetable peeler if you don’t have a spiralizer) and are ready in no time flat. 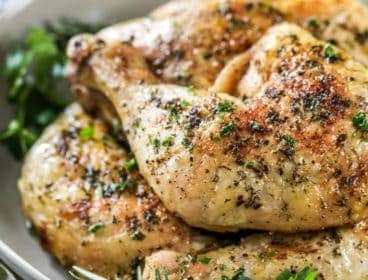 A simple creamy sauce (that is not loaded with fat or heavy cream) is the perfect way to dress these for a healthy yet decadent dish! 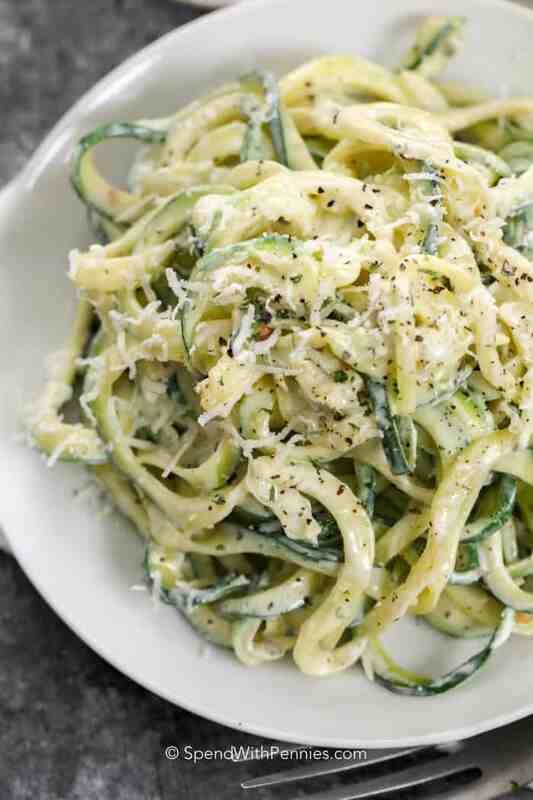 You don’t need to worry about peeling the zucchini before you spiralize it for this recipe. 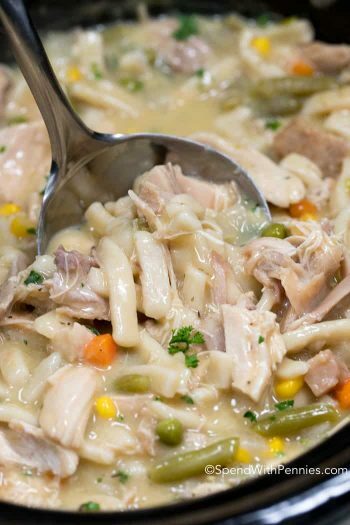 The skin softens up when it is cooked and adds a ton of color and of course nutrients to the dish! 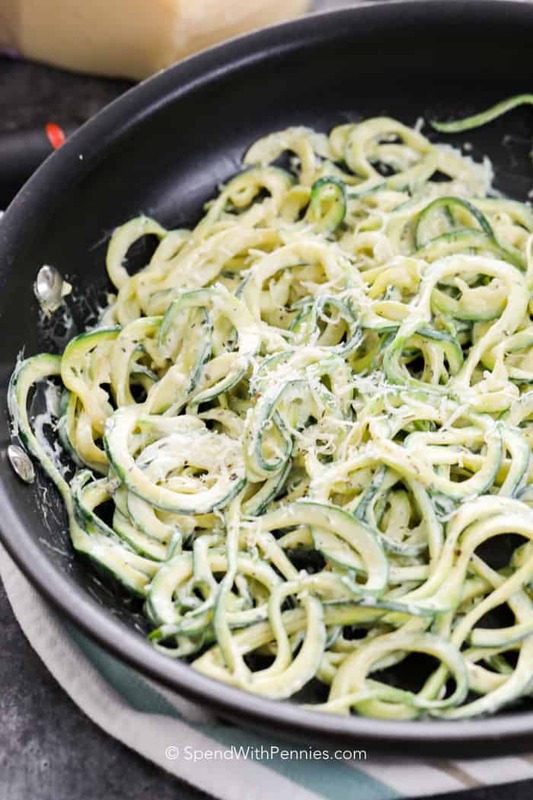 Zoodles are super easy, simply place your zucchini on a spiralizer and spin it to make noodles! 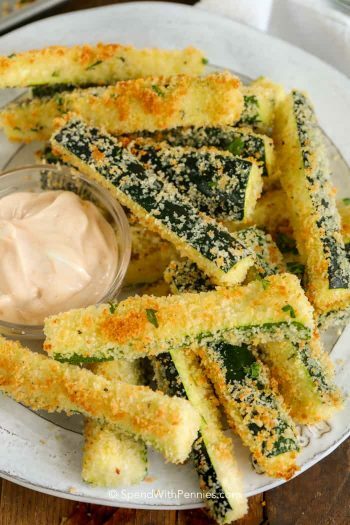 If you don’t have one handy, peel thin strips of zucchini using a veggie peeler. You can get a spiralizer for about $20 on Amazon so they’re pretty affordable. Keep in mind, zucchini is 96% water, so if zoodles get overcooked, they can become watery. 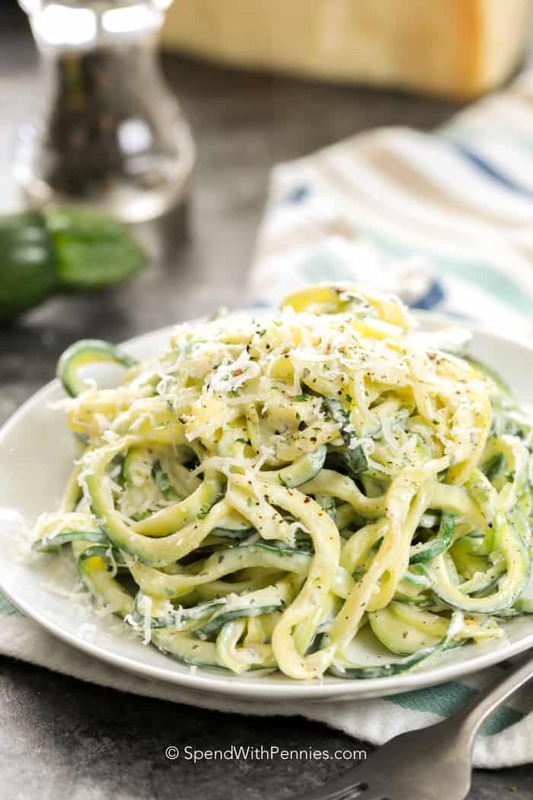 You can find tips to make the best ever Zucchini Noodles here. You can decide which method you’d like to use to cook zoodles but to be honest, a quick cook in a hot skillet/frying pan is my favorite! They only take a few minutes, when cooking zoodles you more want to think of it as “wilting” instead of cooking them. If you don’t have access to the stove top (for an office lunch for example), you can microwave zoodles in the microwave for 2-3 minutes covered. 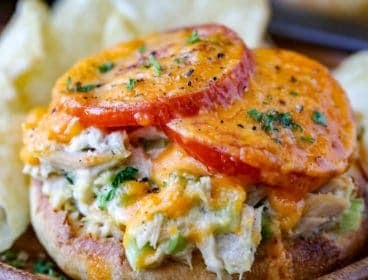 You’ll want to add all ingredients at the beginning to allow the cream cheese to melt. 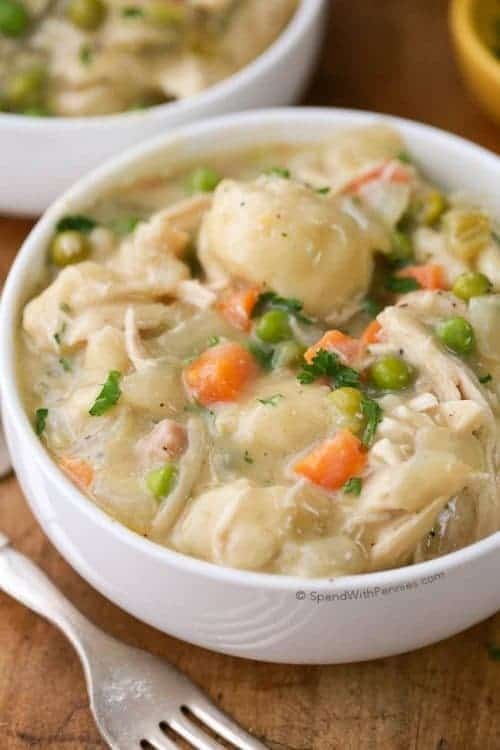 This method is great if you need to save stovetop space but keep in mind you just want to soften them, not necessarily cook them through. 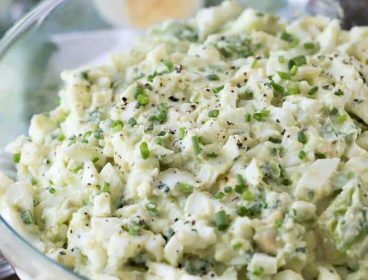 You can easily Freeze Zucchini for use in baking or casseroles. Zoodles will change in texture and get a bit soggy when frozen. If I freeze zoodles, I tend to chop them up and use them in soups, stews or casseroles instead of as “noodles”. Store them in the freezer for up to a year in a sealed freezer bag or container. If you’ve already added them to the cream sauce, no worries, the cream cheese also freezes well. This zoodle recipe is so easy to get creative with! You can add whatever you’d like into them or replace the pasta in your favorite pasta in dishes like roasted cherry tomato pasta. Zucchini noodles have a mild flavor so they make a great base for Easy Chicken Parmesan too! Zucchini noodles with shrimp is one of my favorites, but mushrooms, chili flakes, pesto, tomatoes, and grilled chicken are all great add ins. In just a couple minutes, these zoodles are ready to eat! 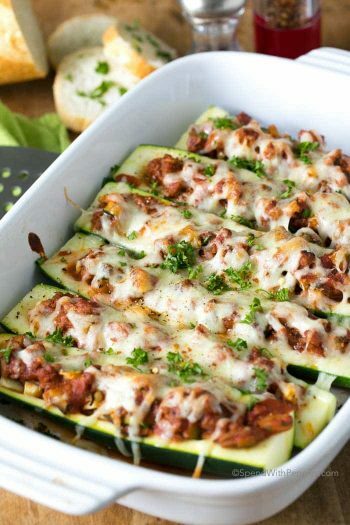 Easy Stuffed Zucchini Boats – Easy weeknight meal! Shrimp Stir Fry with Zucchini Noodles – the perfect meal! 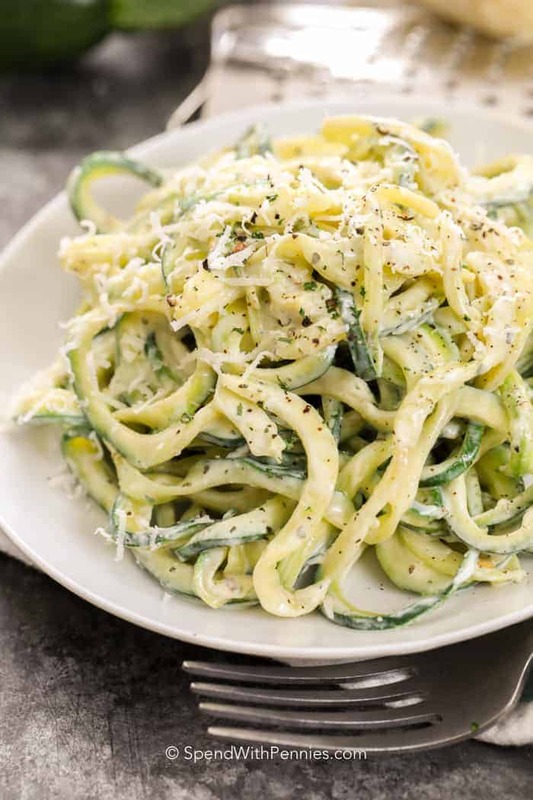 These creamy zucchini noodles are ready in just 3 minutes, making them the perfect healthy snack.